Happy holidays from Beatrice Ryan Designs!! 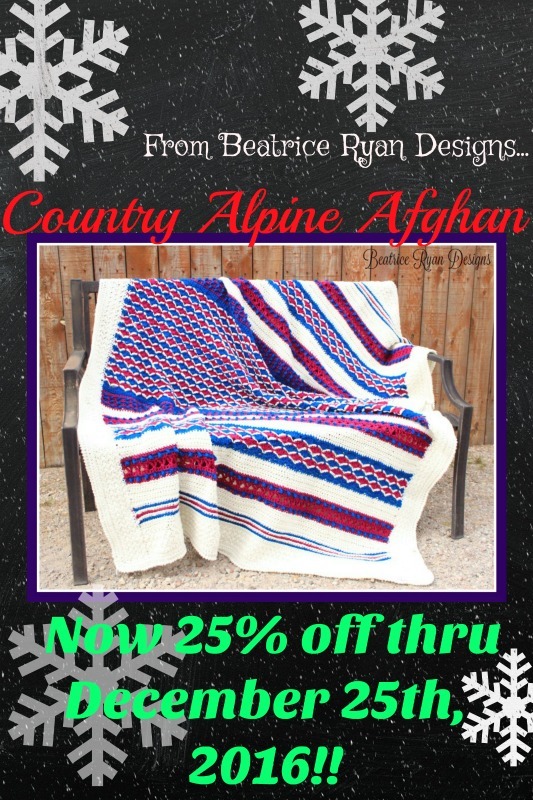 Now through December 25th 2016, you can purchase my Country Alpine Afghan for 25% off the normal price!! Perfect Winter home decor project!! Click Here to Purchase this fun, textural afghan pattern…. Black Friday Crochet Pattern Sale!